Just halfway through the Q2 reporting period, some $650m of red ink has been reported by ocean carriers to add to their $1.2bn deficit for the first three months of the year. To date, niche operator Wan Hai is the only container line to post a net profit for Q2, some $9m, as other carriers face up to the negative revenue consequences of their market share grab and inability to compensate for fuel price hikes. But, according to Alphaliner, the root cause of the industry’s plight can be traced back to the second half of last year, with a rampant expansion of tonnage. “The active fleet grew by 9% in the fourth quarter of 2017, and it swelled by another 10.7% in the first quarter of this year,” said the consultant, adding that this significantly above-demand growth continued into the second quarter, when supply jumped another 8.2%. The impact of this flood of newbuild tonnage on freight rates was considerable, not only on spot rates, but also on contract rates, while at the same time bunker prices leaped by over 40%. “Although since June carriers have started to backtrack on their capacity expansion plans, at the beginning of August overall active fleet growth remained 7% higher than a year ago,” said Alphaliner. It noted that last year, in an “unusual situation”, carriers did not remove a single service in the traditional winter slack season, and furthermore continued with their “aggressive expansion” with the introduction of new vessel capacity on east-west tradelanes, which combined with the injection of “substantial capacity” on Asia to South America and Asia to Middle East routes. 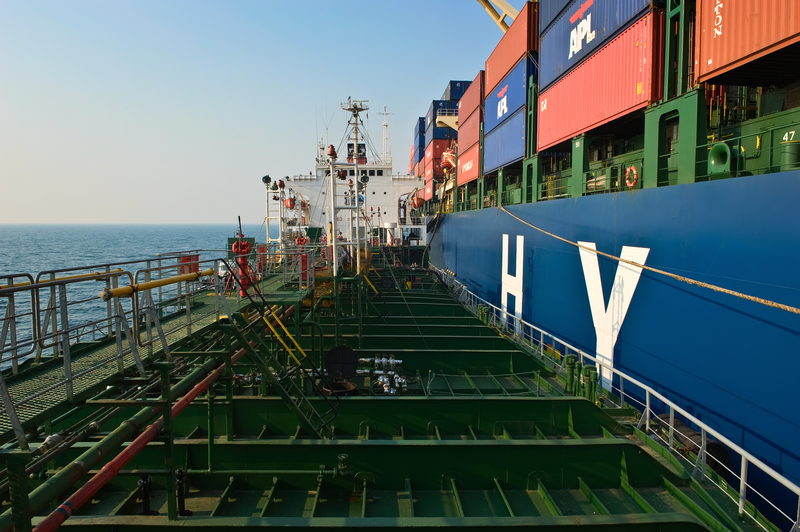 Of the carriers that have published their Q2 and H1 results, South Korean container line HMM has reported the biggest H1 loss, which, including its bulk shipping sector, had hit $371m. Driven by national pride after the bankruptcy of compatriot Hanjin Shipping in September 2016 and an aspiration to regain its status as a global player, HMM’s carryings surged by 17% with the launch of new services, but this came at the expense of its average freight rate, which plunged 8%. Indeed, according to a calculation by Lars Jensen, CEO and partner at SeaIntelligence Consulting, HMM lost $167 on every teu shipped in the second quarter. After a disastrous half-year of trading, carriers are now trying to appease concerned investors with a much more positive outlook for the third-quarter peak season, as well as the slacker fourth-quarter. Analysts tend to agree that the worst is now over for the liner industry this year, as the spot rate market stabilises, providing a sounder platform for new long-term contract negotiations. However, 2018 looks likely to be written off as another year when the avarice of container carriers and a not unexpected rebound in oil prices combined to destroy the industry’s P&L account.